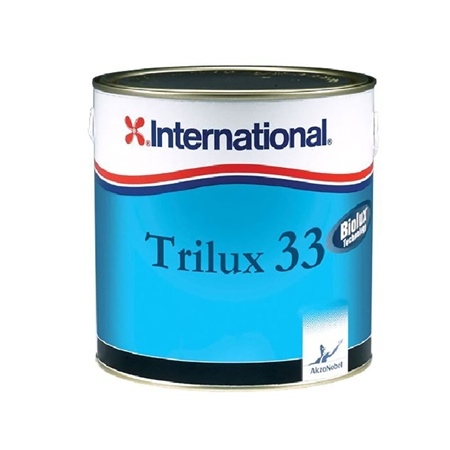 Trilux 33 from International Paint was redeveloped at the turn of 2011 to provide an even better protection and a brighter white antifouling. Its slow polishing formula helps avoid paint build up and offers effective boat fouling protection for up to 18 months when a minimum of 2 coats are applied. Suitable for all types of construction, including aluminium. Colours: White, Navy, Blue, Black, Red, Green, Grey.